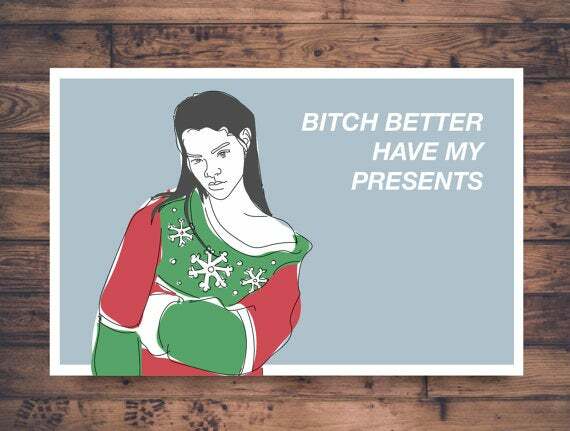 ‘Tis the season to give great cards that say exactly what you want them to. Start with these. 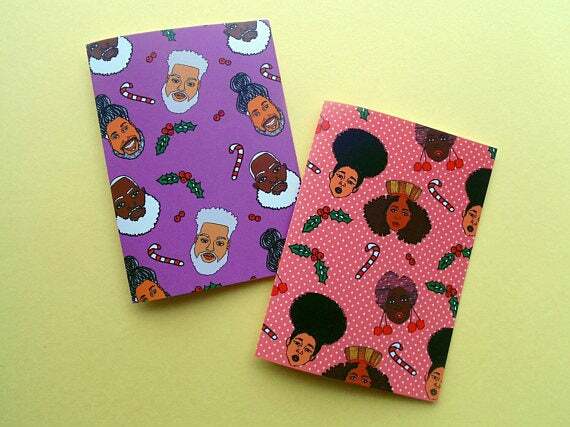 Who said Frostie the Snowman couldn't rock his baby hairs and afro?! available at Etsy	$4.46 Buy! 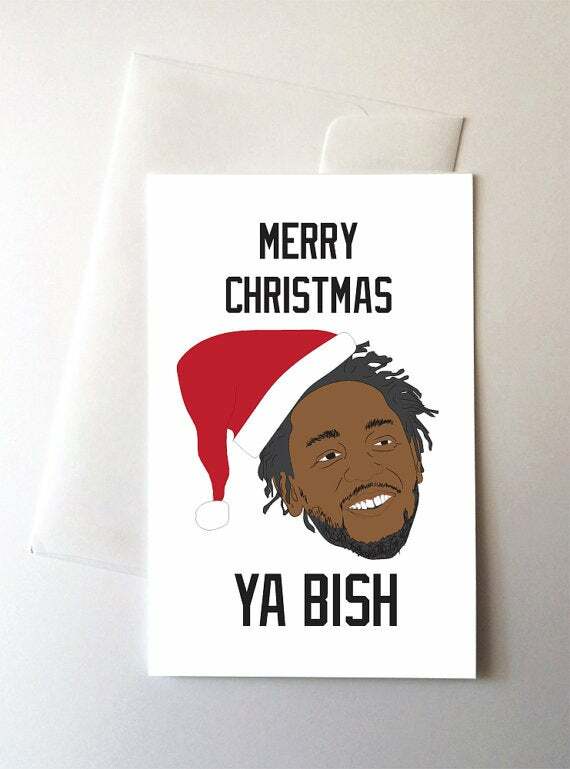 Every year we are eternally grateful that Christmas queen Mariah Carey created the greatest holiday jingle of all time with "All I Want For Christmas Is You" and this card is proof. available at Etsy	$5.00 Buy! Come on girl, sleigh the holiday! available at Etsy	$4.00 Buy! Damn. 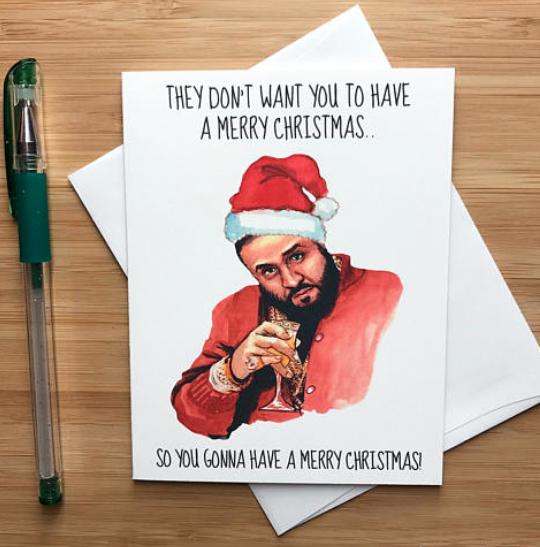 This card is everything! available at Etsy	$4.49 Buy! 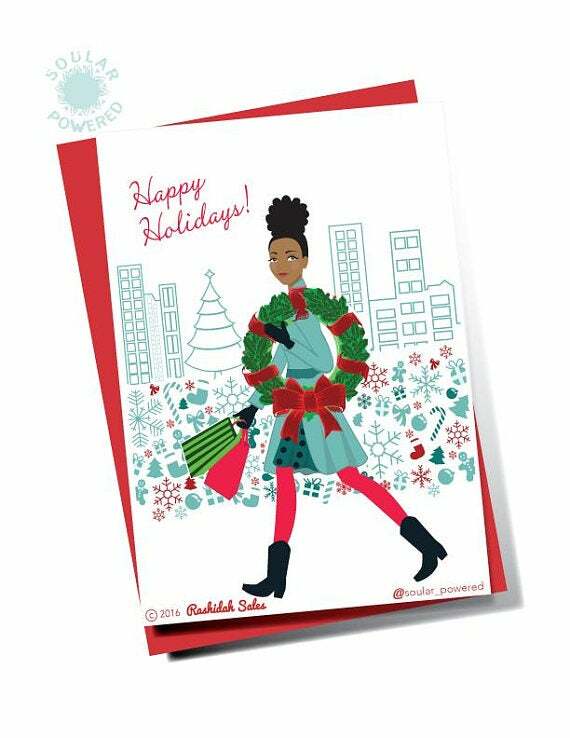 May the Black Girl Magic and the Black Boy Joy of your family and friends be shared abundantly with this card. available at Etsy	$10.44 for a set of 4 Buy! When it comes to wanting your gifts on time, there's no holding back. Just as Rihanna. available at Etsy	$3.61 Buy! 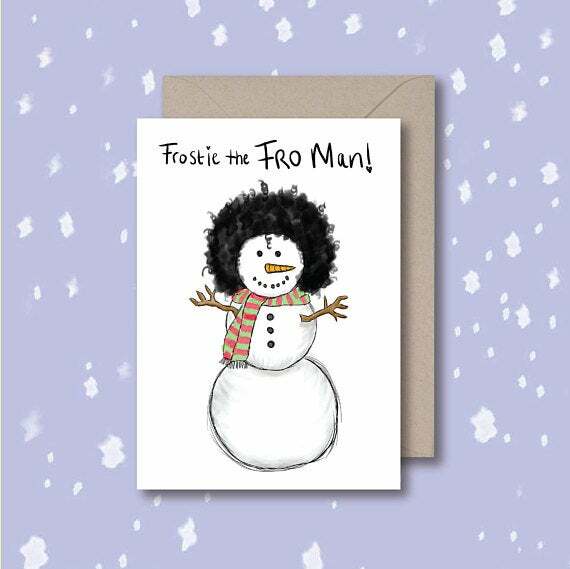 We think this card just says it all! available at Etsy	$3.48 Buy! 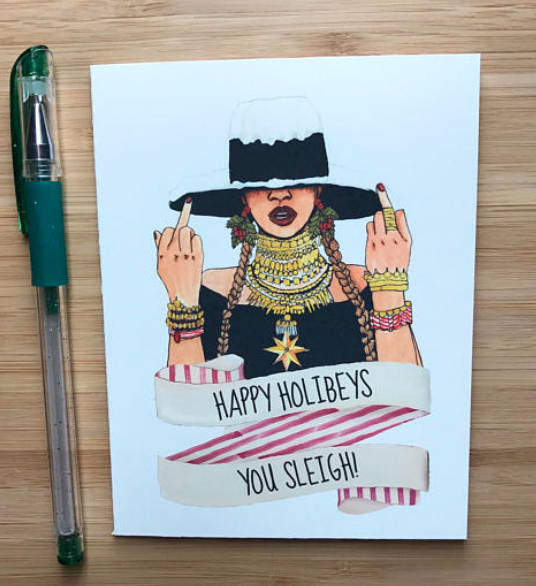 Leave it to the queen Bey to remind us to get into formation even during the holidays! 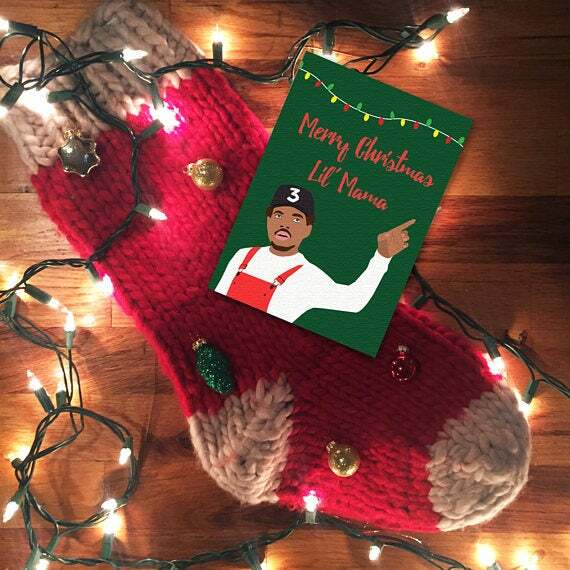 Chance the Rapper wants you to have a wonderful Christmas lil' mama! available at Etsy	$4.50 Buy! 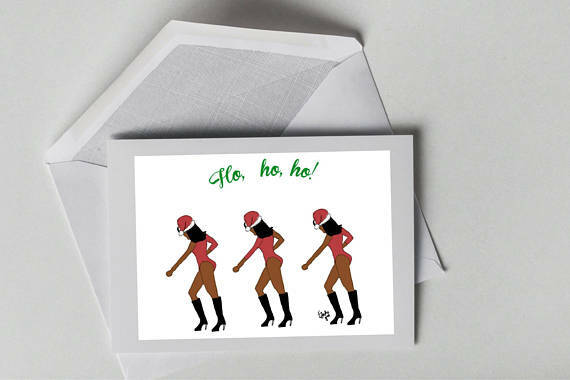 Sometimes all it takes a little simply holiday cheer and this card will do the trick! 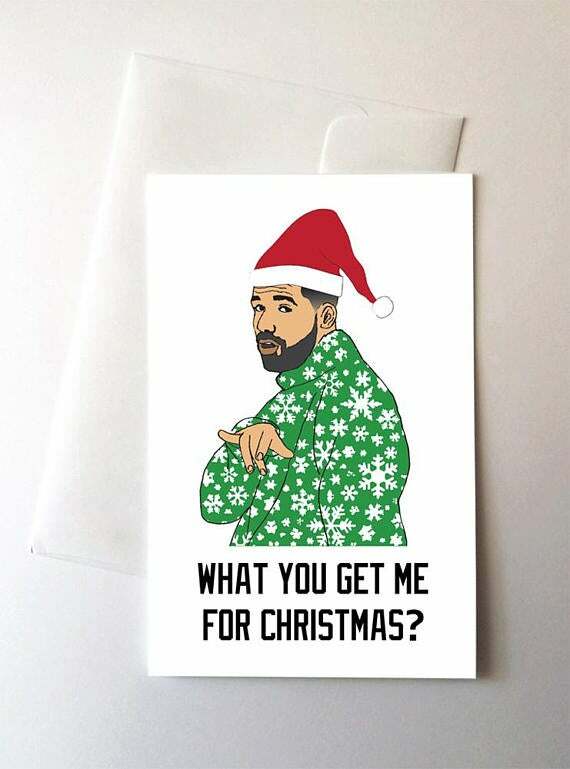 No one makes our holiday hotline bling like Drake. Giving this card, you'll be smart, you'll be loyal and you'll be very, very important! 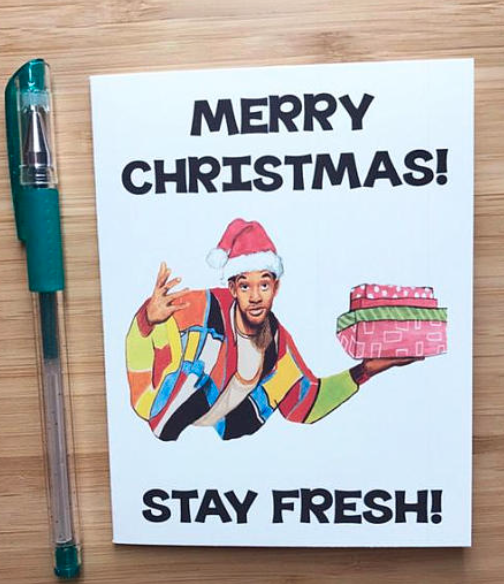 Make this Christmas as fresh as the Fresh Prince of Bel-Air would want it to be! 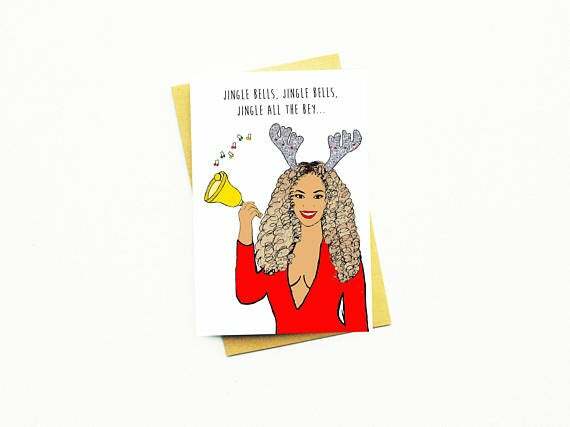 You can jingle all the bey through the holiday season with this card!